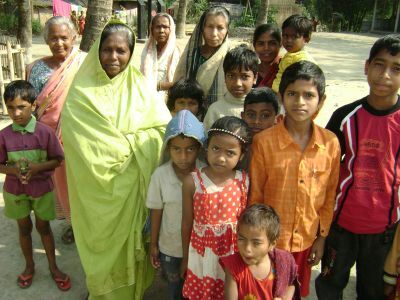 The people of Bangladesh are of the Bengali tribe, which totals nearly half a billion worldwide. Their language, called Bangla, is the sixth most spoken language on the earth. 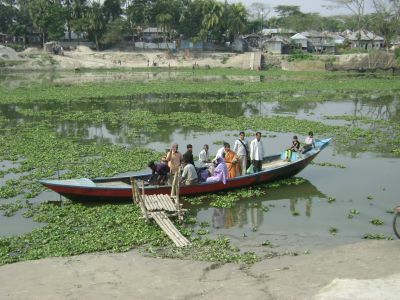 Traveling within Bangladesh almost always includes boats, since much of the country is covered by water. 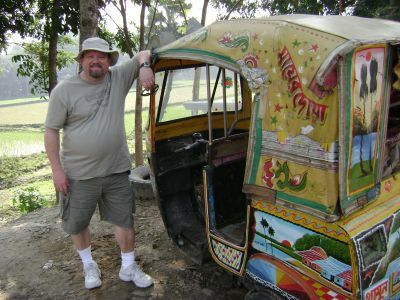 This colorful three wheeled vehicle is a popular and practical mode of public transportation. Marty Hooper (a.k.a. 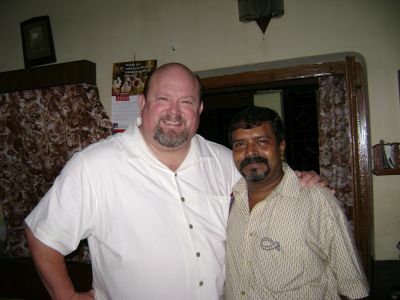 "Santa") is an evangelist from California who has worked with Terry Veazey for many years in many nations. He is a gifted preacher and musician. 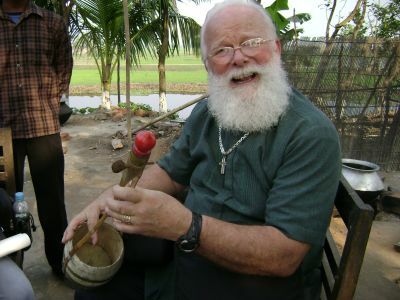 Here, Marty experiments with a homemade Bengali musical instrument. 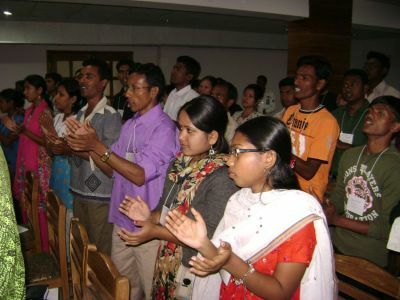 Hundreds of church leaders have been trained by TVMI within Bangladesh in recent years. These precious servants of God sometimes face severe persecution for their faith, living amongst a majority Islamic population. Peter Sarkar serves as the Southeast Asia Coordinator for TVMI. He is a dynamic Christian leader who is making a real difference for the Kingdom of God in Bangladesh and throughout southeast Asia. 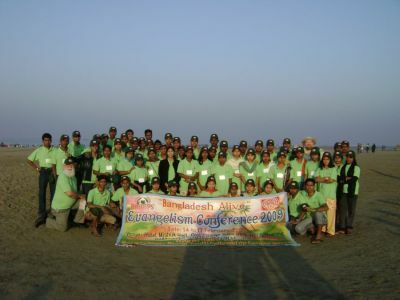 Here's a group picture of the evangelism conference trainees, taken early in the morning on the world's longest continuous beach, at Cox's Bazar, in the Chittagong region of eastern Bangladesh. Minutes after this photo was snapped, Terry Veazey preached on this beach to a large crowd of curious onlookers, most of whom were Muslims. Many prayed to receive Jesus Christ as Lord and Savior, and were then counseled with by these trainees. This is the Harvesters Praise Band. 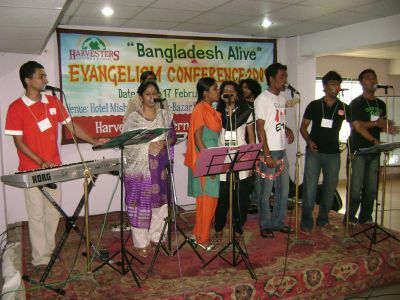 These talented musicians are native Bengalis, and they lead the worship in all of the "Alive!" conferences in southeast Asia. 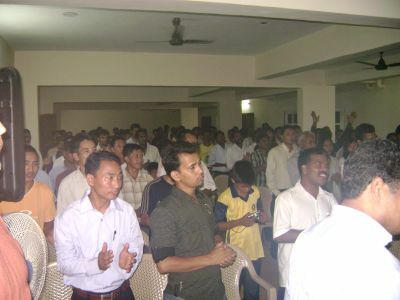 More than 100 young Bengali church leaders attended the "Bangladesh Alive!" 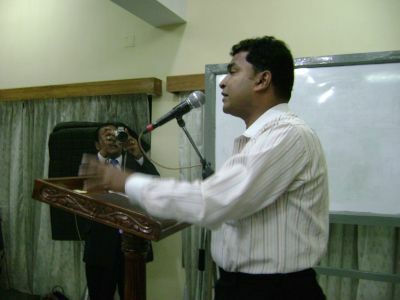 Evangelism Training Conference for five days in the city of Cox's Bazar in the Chittagong region of eastern Bangladesh. These young adults came from all over the nation of Bangladesh to spend five days in intensive training for evangelism. 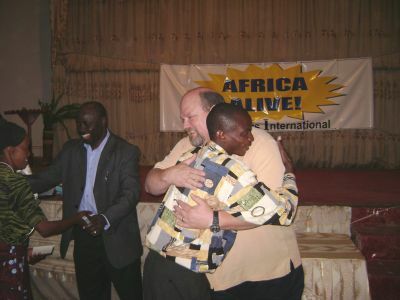 The entire conference, including their travel, lodging and meals, was provided free of charge to them through the generosity of partners in the USA. 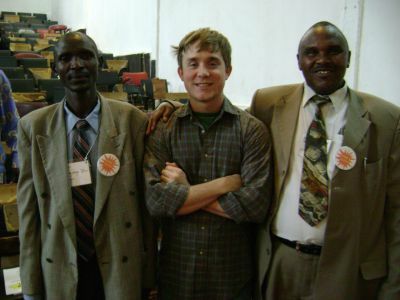 The team consisted of preachers, lay workers and medical professionals from the USA. 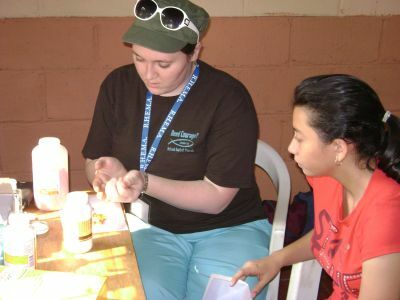 A free medical clinic was conducted each day in a different town. Here, a patient begins in triage, where vital statistics are recorded. 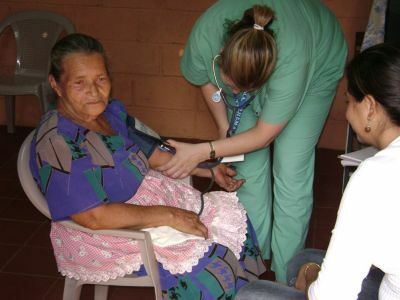 An elderly patient gets her blood pressure checked by a volunteer nurse. 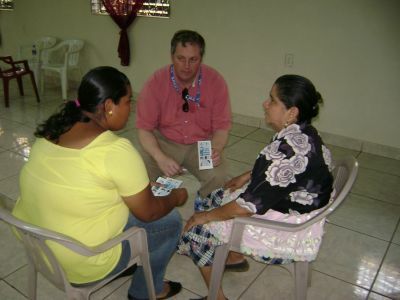 After seeing the medical doctor and receiving a diagnosis and free medicine, each patient was invited to spend a few minutes with a spiritual counselor, who shared a thorough Gospel presentation and attempted to lead them to a commitment to Christ. Many children came to the medical clinics each day. 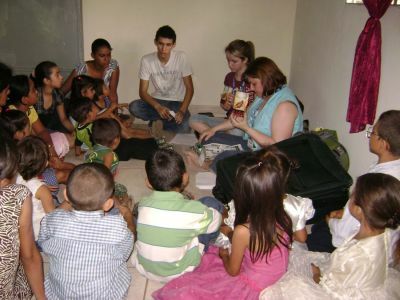 The childrens workers were well prepared to share the Gospel with them, using creative visual aids and handcrafts. 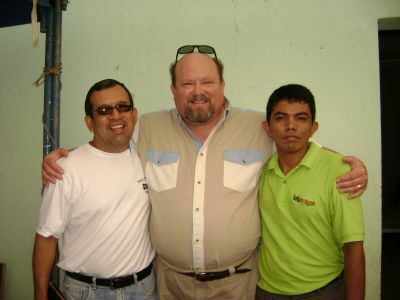 Terry Veazey has been privileged through the years to work side by side with some of the finest servants of God, like these two Salvadoran pastors. 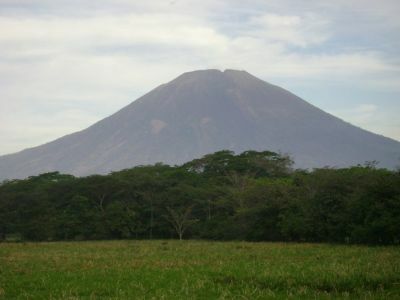 Chaparrastique is the name of the impressive volcano that stands magnificently outside the town of San Miguel in eastern El Salvador, where Terry and the team spent a week in ministry. 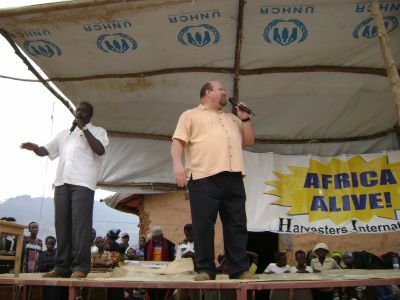 The host and coordinator for the Rwanda campaign was the Rev. Joseph Karasanyi. 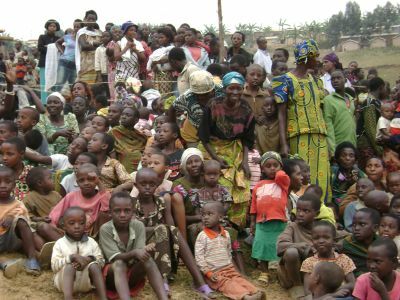 A former muslim, Joseph was raised in Uganda and returned to his native Rwanda in 1994, just after the end of the genocidal holocaust, in which nearly one million of his fellow tribesmen were slaughtered. 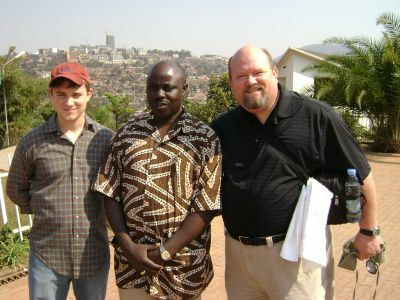 He has planted eighty churches throughout Rwanda. 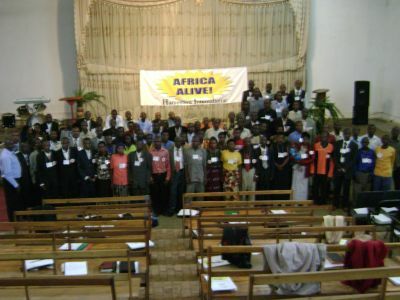 More than one hundred pastors and church leaders came from all over Rwanda to attend the "Africa Alive!" 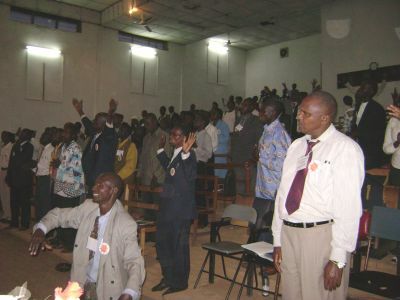 evangelism training conference, held in the capitol city of Kigali. 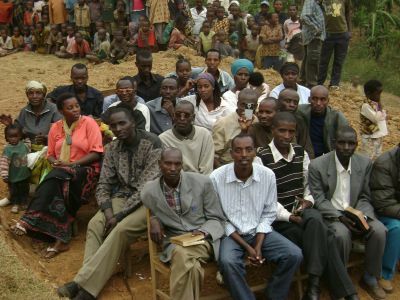 Most of these church leaders are bi-vocational farmers and live in rural regions. They have very little if any formal theological education. Terry Veazey's son, Luke, served as one of the instructors at the conference, teaching classes on Evangelism and Personal Devotion. Luke was greatly appreciated by the attendees. At the conclusion of the conference, each participant expressed their sincere gratitude for all they had freely received. 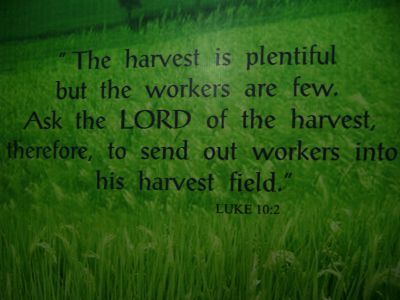 They pledged to take what they had learned and return to their home regions to train others, and to labor fervently in their own harvest fields, for the souls of mankind. This is the entrance to what has become known as "Hotel Rwanda", the hotel in downtown Kigali that was made famous in the major motion picture by the same name, telling a true to life account of the tragic holocaust of 1994. 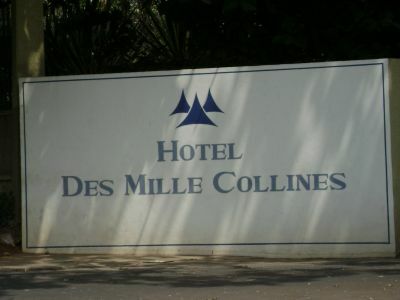 The actual name of the hotel is also the official description of the nation of Rwanda, in the french language. In english it means "the thousand hills". 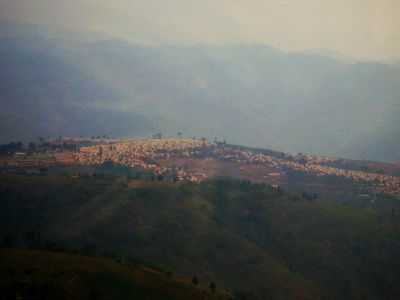 Following the training conference, the team traveled to western Rwanda to conduct a three day evangelistic crusade in a United Nations refugee camp, seen here from a distance, located in the hills above Lake Kivu. 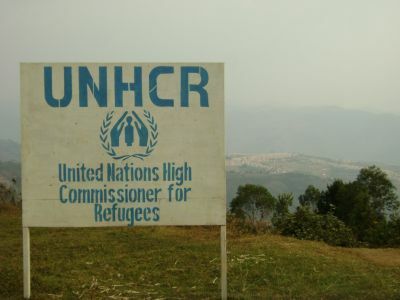 This camp was built in 2004, to house more than twenty thousand refugees from the Republic of Congo (formerly known as Zaire) who had fled the tribal wars in that nation. Thousands of people gathered at the crusade site each afternoon, eager to catch a glimpse of the two "mzungus" (white men), the first Americans they had ever seen. Some came out of curiosity perhaps, but everyone listened intently to the presentation of the Gospel in music and preaching. Here, Terry Veazey shares a message from the Word of God, which is interpreted by Rev. Karasanyi in their native language. 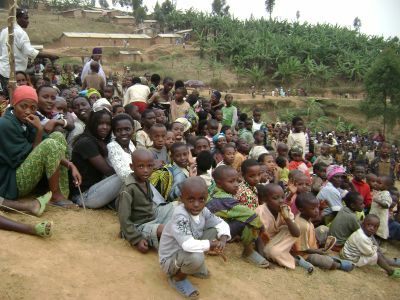 The refugee children came by the thousands to the crusade, and were happy to learn about the love of Jesus Christ. 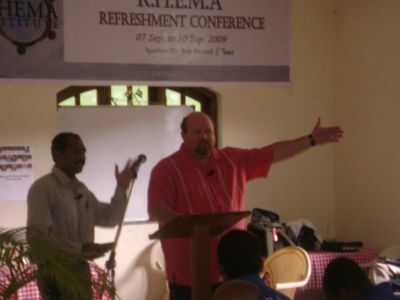 The first week of this three week mission was spent on the west coast of India in the state of Goa, in the capitol city called Panaji, where nearly three hundred church leaders from all over India gathered for a five day "Refreshing Conference". Terry Veazey, with a Hindi language interpreter, teaches the conferees on one of several pertinent topics. Each day contained ten hours of instruction, along with worship music. God moved in the hearts of the participants, preparing each of them for service in Christ's kingdom. They returned to their home regions encouraged and better equipped. The second week of this mission trip was spent on the east coast in the state of West Bengal, in the city of Kolkata (Calcutta). 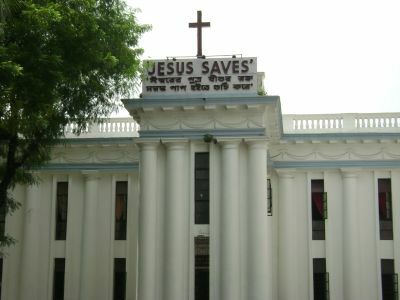 Terry spoke to the students at the Calcutta Bible College, located on the campus of the historic Carey Baptist Church. 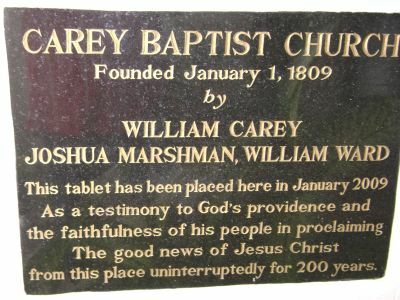 The Carey Baptist Church was founded two hundred years ago by the first evangelical missionary in history, William Carey, of England. 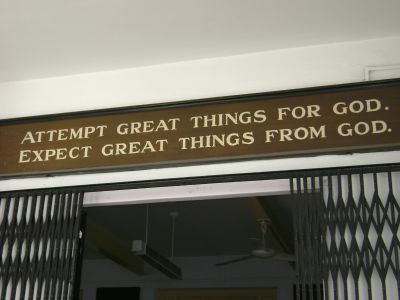 William Carey translated the scriptures into more than fifty Indian languages, and is perhaps best remembered for this quote. Terry also spoke to the students at the Assembly of God Theological Institute in Kolkata. 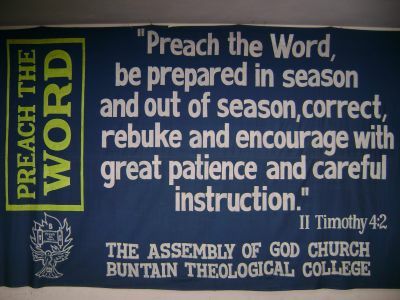 This banner hanging in the chapel expresses their mission purpose. Rev. 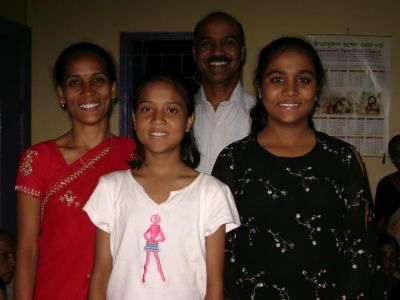 Pradip Goswami, of Kolkata, has served as the National Director for Harvesters International in India for several years. He is a dynamic pastor/evangelist. This is the Mondal family of Kolkata. 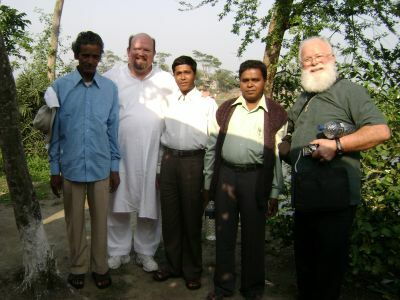 Mr. Mondal, a former Hindu, professed his faith in Christ during one of Terry's evangelistic meetings in 2008. Now, his wife and two daughters have also been saved and baptized, and are serving Christ together. 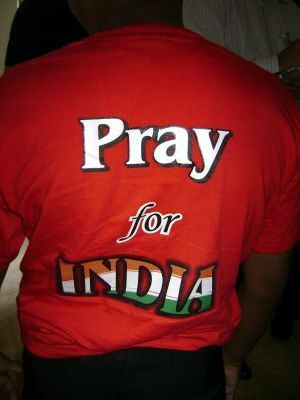 The message on this t-shirt is a reminder to cry out to God for the salvation of a billion souls, most of whom are bound in idolatry. 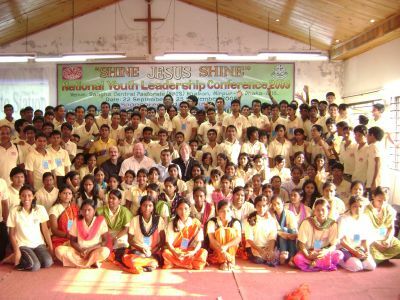 The third week of this mission was spent conducting a National Youth Leadership Conference in Dhaka, Bangladesh. 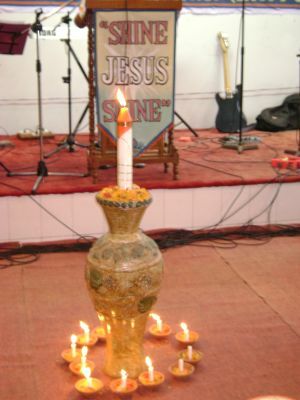 The theme was "Shine, Jesus, Shine!" More than two hundred young adults attended this conference, coming from all corners of Bangladesh. The training they received will enable them to impact their regions with the Gospel more effectively. Most will face great opposition in this Muslim nation. These words, spoken by the Lord Jesus Christ, are our challenge to continue in the work of the harvest till He returns again to this earth.